‘Smart cities’ are the new smart grid-smart building showcases. The term 'smart city' can apply to anything from getting your residents online, to networking, sensoring and controlling every last door, window, air conditioner and electric appliance across an entire campus or neighborhood. Add solar panels, fuel cells and thermal and chemical energy storage systems to the mix, and you need software and communications to manage the two-way flows of power on the stretches of distribution grid that are affected -- a miniature smart grid, or microgrid, if you will. That’s a lot of 'smart' stuff to integrate, and getting the grid and the buildings it attaches to working together is a key step. Schneider Electric has long held a dominant market share in building power equipment, and now that it owns smart grid software vendor Telvent, it’s hooking up the grid to all those buildings. The French power giant is testing a mix of smart city technologies in undisclosed locations in France, China and the U.S., Michel Crochon, head of the company’s infrastructure unit, told Bloomberg this month. Specifically, he said that Telvent’s ability to monitor and model power grids, water pipes, HVAC systems and other city equipment, would be linked with its weather forecasting smarts. Schneider’s obvious competitor here is Siemens, which restructured itself last year to create an infrastructure and cities division, where much of its smart grid business lines operate. That’s where Siemens has put eMeter, the smart grid software vendor it bought in December, as well as grid router and server maker RuggedCom, which it bought for $381 million this year. It’s working with New York City utility Consolidated Edison on a grid-building demand response platform, where it already has a lot of buildings running its technology. On the small-town front, Siemens just launched smart meter-based demand response for Wabash Valley Power Association, a Midwest co-op supplying power to about 750,000 people. EMeter is the smarts behind that project, which promises to run two-way connections between each meter and the utility to turn down power and verify the results. Most residential demand response is done via one-way pager and radio networks. Smart meters could make that process a lot smarter, if only because they measure actual power use. Right now, the methods used to tap buildings’ energy management potential for the grid are fairly simple. Most of today’s demand response is done via phone calls, emails and website posts, relying on humans at both ends to actually turn down power. OpenADR (automated demand response), an open-source protocol for sending pricing and control commands between utilities and building-side servers, is emerging as a likely central standard for automating that process. On Thursday came a new partnership between OpenADR and LonMark International, the nonprofit representing about 400 users of the LonWorks building management protocol from Echelon. LonWorks is analogous to Modbus or BACnet, some of the main technologies used in building automation systems. OpenADR signals get translated into stuff these BAS platforms can understand by a demand response automation server, or DRAS, that sits between the building and the outside world. Echelon, of course, makes smart meters and smart grid management software as well as building controls, and has deployed millions of smart meters in Europe (though only a few in the U.S. so far). It’s also working with partners in Brazil and China to get its technology in place for the hundreds of millions of meters those countries are expected to deploy in the coming years. Earlier this year it demonstrated integrations of LonWorks and BACnet with a host of smart building applications, including what it called "grid-aware applications." In the meantime, it’s far from the only firm putting OpenADR to use. 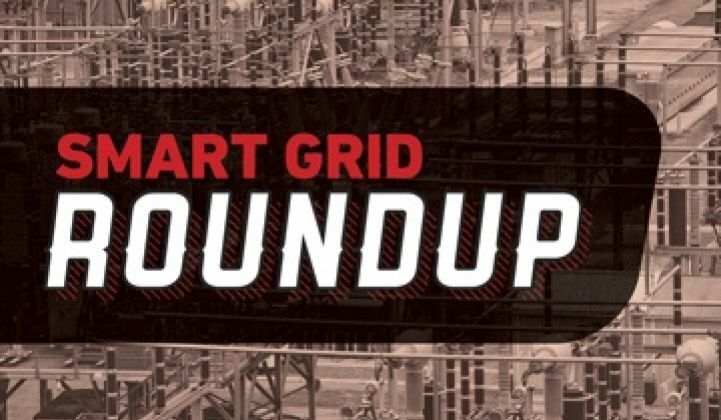 Honeywell, which bought OpenADR server maker Akuacom in 2010, is doing projects in the Hawaii, China and the U.K. to connect utilities and grid operators to building control systems, conveniently provided via Honeywell’s Tridium unit. Last year, French grid giant Alstom bought UISOL, the California company that wrote the OpenADR code and runs demand response platforms for grid operators PJM, MISO and CAISO, and is working on pilot projects. Siemens, Schneider, EnerNOC and Johnson Controls are all trying out the technology as well. Of course, it would be nice to start with the simple stuff, like making sure your building wasn’t heating and cooling the same space simultaneously or leaving the lights on overnight, before you spent a lot of money hooking it to the grid. That’s where Johnson Controls and the city of Milwaukee are aiming about $15 million in federal stimulus money, with a simple energy efficiency financing scheme that could open the door to more advanced, 'smart city'-like controls down the line. The two will apply the money as down payments on loans to finance energy efficiency audits and retrofits across commercial, residential and government buildings. That allows building owners or tenants to sign off on projects that cost them nothing, and pay themselves off via lower energy bills. Mixed-use downtown co-op The Newport is their showcase project, where they’ve cut $48,000 a year, about 28 percent, from the resident’s shared power bills for things like elevators and hallway lighting and heating -- the kind of stuff otherwise crammed into annual fees. But JCI, which has already made an efficiency showcase of its Milwaukee headquarters building, isn’t stopping with the retrofit, said Chuck McGinnis, U.S. director of commercial energy solutions. It’s planning to manage those projects for ongoing savings, and to do that, it’s looking to its Panoptix software platform. "Panoptix is a great tool, because it can identify some of the key problems that prevent savings from occurring, and it can see that sooner than human operators can,” McGinnis told me. Essentially, the platform is a cloud-based dashboard, fault diagnostics, and utility reporting system, which integrates with lights, HVAC, fire alarms and other building systems. Panoptix is one of the latest cloud-based building energy platforms to come onto the market -- others include Honeywell’s new Attune advisory service and Schneider’s StruxureWare. We’ve also got startups fine-tuning various parts of the smart city system. BuildingIQ, which just announced a partnership with Schneider, makes smart HVAC technology that monitors temperature and air quality, gauges current and future power prices, and then sets building HVAC systems to save energy and money. Viridity Energy, which is working with energy services giant ConEd Solutions, has software to optimize building power use and bid the resulting 'negawatts' into power markets. Others are focused on specific markets. Powerit Solutions has a strong position in industrial automation, while Power Assure, Sentilla, JouleX and SynapSense are targeting data center efficiency.